Politiko showing less news articles in your Facebook News Feed? The reason is Facebook has recently undergone major changes to its News Feed, pushing more content from friends and family. 2. Click “Following” then select ✓ See First. 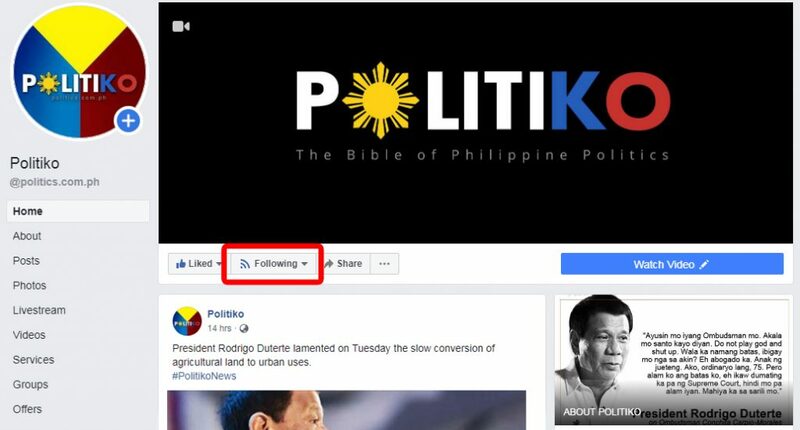 Sharing, commenting and liking POLITIKO’s posts on Facebook will also increase its visibility on your News Feed.